My name is Julie and welcome to my website. 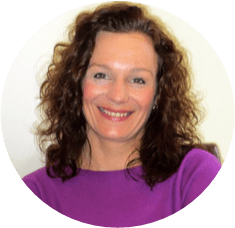 I live and work in the Stockport Cheshire area of the UK as a hypnotherapist, trainer and intuitive coach, helping clients recognise, understand and implement the changes they need to make in their lives in order to achieve their goals. My relevant qualifications in this field include an Advanced Diploma of Creative Hypnotherapy (ADCHyp) gained from the Northern College of Creative Hypnotherapy and a GQHP diploma (General Qualification in Hypnotherapy Practice). This is awarded by the General Hypnotherapy Standards Council (GHSC) to suitably qualified hypnotherapy practitioners. Cert’Ed (Certificate in Education) from Manchester University. I am also registered with the GHR (General Hypnotherapy Register) whom, along with the GHSC, are one of the leading recognised UK regulatory organisations in the field of hypnotherapy. So, Why Choose Me As Your Hypnotherapist And Coach? My response would be because I am passionate about my work, which is client-led. It is all about you the client, not the therapist. I draw out of you, what you need to do to make the changes that you need to make for your health. I believe that each and every one of us has the ability to access the ‘all-knowing’ part of themselves. I help you to access that part of yourself, because truly there is only you who knows the real you. I will teach you the techniques to help go within yourself and explore so that you can understand the positive changes you wish to make. On a more personal note, my career history extends back to the 1980’s, when I first qualified in the field of Beauty Therapy. During my studies and later in practice, I was always amazed by the way the human body can repair and mend itself. Later, I went on to be awarded my Certificate of Education (Cert’Ed), which enabled me to teach as a tutor in Further Education establishments. Amongst others, I have taught at Warrington Collegiate, helped adults with learning difficulties, where I taught health & beauty and healthy lifestyles. Throughout my life there have been many changes. I have been inspired to take holistic training – including reflexology and Indian head massage. I am also a Reiki Master. It was whilst undertaking my Reiki training that I came to realise that the mind plays a major part in healing the body, and that’s when I decided to look into the field of hypnotherapy. I contacted the NCOCH (Northern College of Creative Hypnotherapy) and later met tutors Jonathan Lloyd and Ray Jenkinson, who were profoundly inspiring. After talking to them, I knew that hypnotherapy was the right course for me! I have personally made some amazing life changes during and since the course. Whilst training at NCOCH I underwent some wonderful experiences, one of which was channelling energy. Since then, having gained my qualifications and during my years of experience as a practising hypnotherapist, I have helped hundreds of clients connect to that powerful, loving energy within themselves and all that is! Currently I have a busy practice in Stockport and Cheadle Hulme in Cheshire. I am passionate about my work and am proud to have been included in the training team at NCOCH. I’ve gone on to do many other courses and have certificates in NLP (Neuro-Linguistic Programming), EFT (Emotional Freedom Technique), Mindfulness also pain management, Parts Therapy, Grief & Anxiety and so much more. I run workshops and hold talks on ‘The Power of The Mind’, weight issues, stress and depression, limiting beliefs, past lives, self-hypnosis, meditation and more.